It all kicked off of course with Friday's Christmas Late Night. 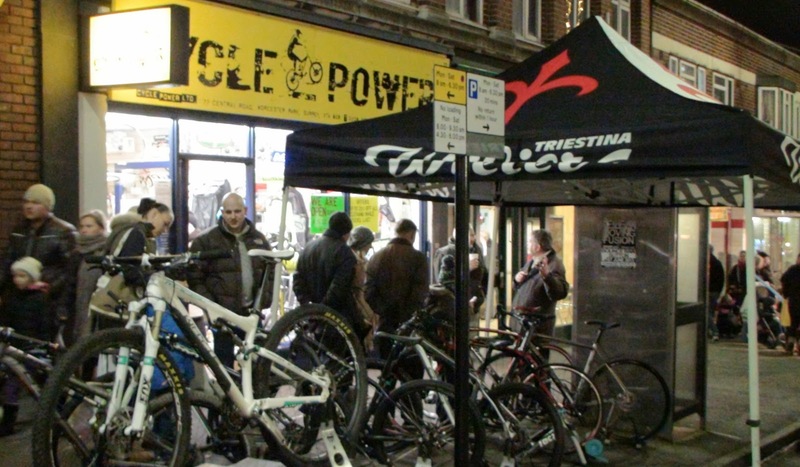 Many people came together to make it all happen but special thanks needs to go to several people starting with Tracey from Cycle Power who generally coordinated the event. Brendan from Pets Place, Martin from Worcester Spark and Kathleen from the St. Raphael's Hospice shop together with their respecting staff, helpers and volunteers managed to bring Father Christmas and his Grotto to into being. I know many other people helped as well so apologies to those who haven't had a special mention. 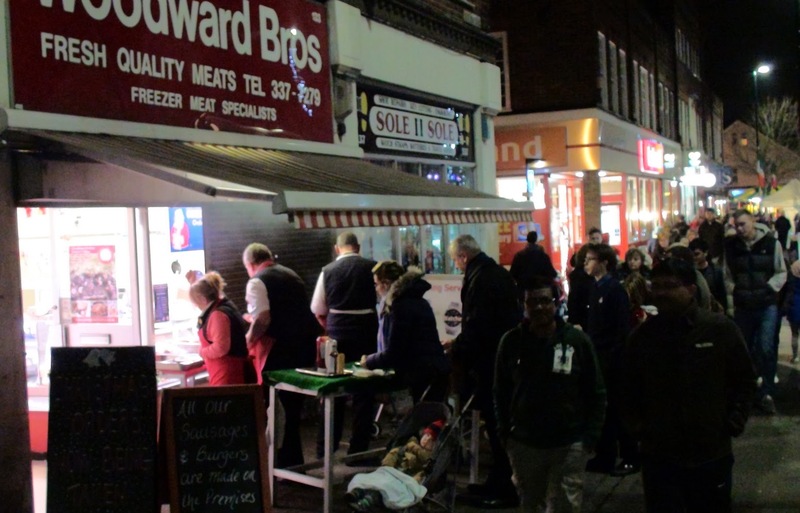 Several traders stayed open for the evening (a few more would have been even better) and some were running stalls out the front of their shops like Woodward Bros with their very popular BBQ, Worcester Spark running Santa's Grotto and Cycle Power with their bicycle tent. 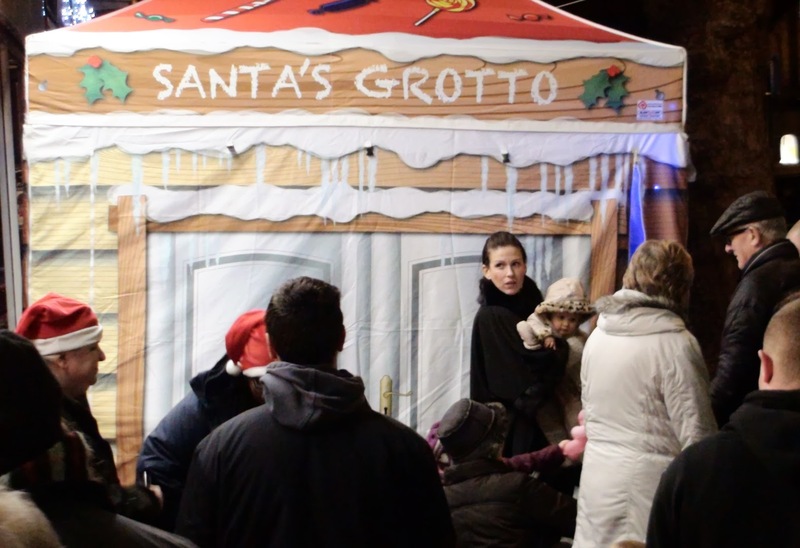 Access to Father Christmas and his grotto was by donation and the money raised which was over £50 was given to St. Raphael's. Overall a fantastic effort by a few people made this a great event and showed that Worcester Park's Christmas Late Night is on it's way back. Unfortunately Cheam were having their Christmas Late Night on the same evening so there was a split in the number of people attending. Running simultaneously was the craft fair in the Library which offered a place to sit down and enjoy free tea and coffee or you could purchase a home made cake for the princely sum of 50 new pence. 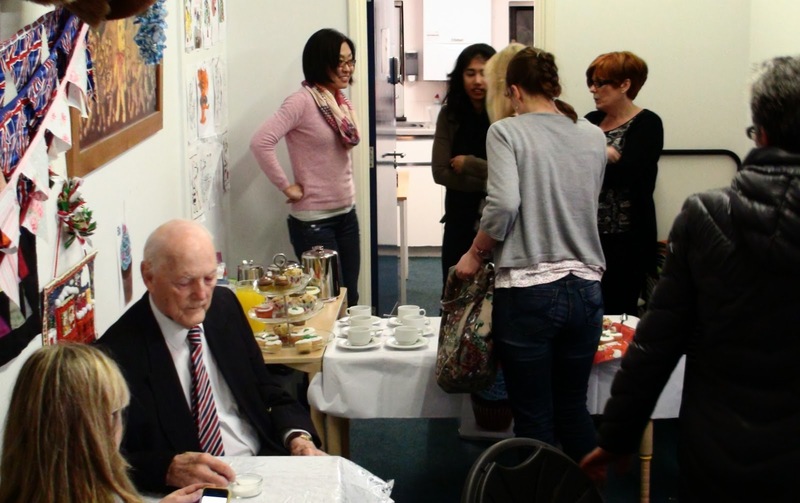 This also continued on Saturday from 11 until 3pm. 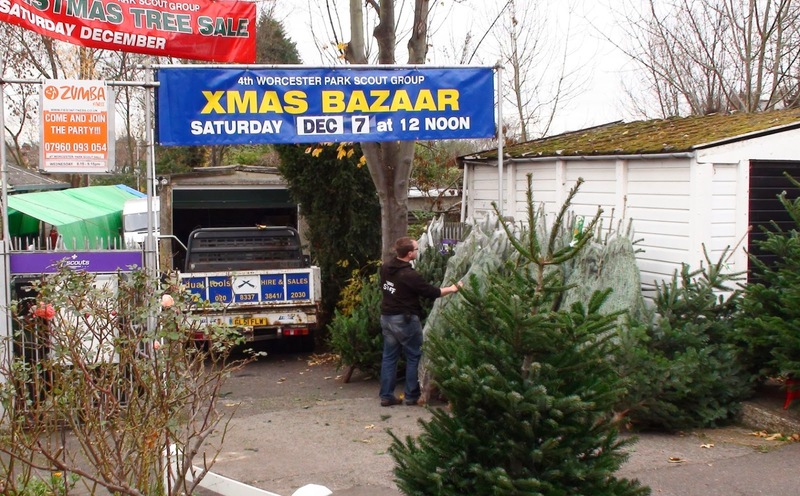 Saturday was also the day of Scouts selling Christmas Trees and putting on their own Christmas Fairs. 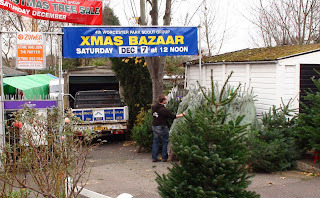 When I popped in to have a look at the 4th WP branch in the morning, Paul Green who was running the tree sale said they had sold many trees that morning so far. He also wanted to specifically thank Grant and Elise from Dual Tools in Central Road for all the help they have given the local scouts. As well as donating the use of vehicles and generators when the scouts need them, Grant and Elise usually donate scrap metal and other things for the scouts to sell and help them raise money. 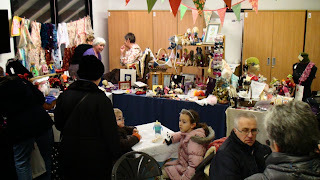 There were several school Christmas Fairs running on Saturday as well. I only managed to get to the one at Dorchester Primary (sorry no photos). This was an indoor affair with what seemed like stuff going on in nearly every classroom. I enjoyed some of the home made cakes and wandering round with a cup of tea found something at one of the stalls I just had to buy: A whoopee cushion! They must be coming into fashion again because WP junior came home from a birthday party recently with one in his party bag and after several days of inane giggling from both of us he finally burst it by jumping on it. I hadn't seen one in literally decades so I decided to buy him a replacement. Twas an enjoyable fair. 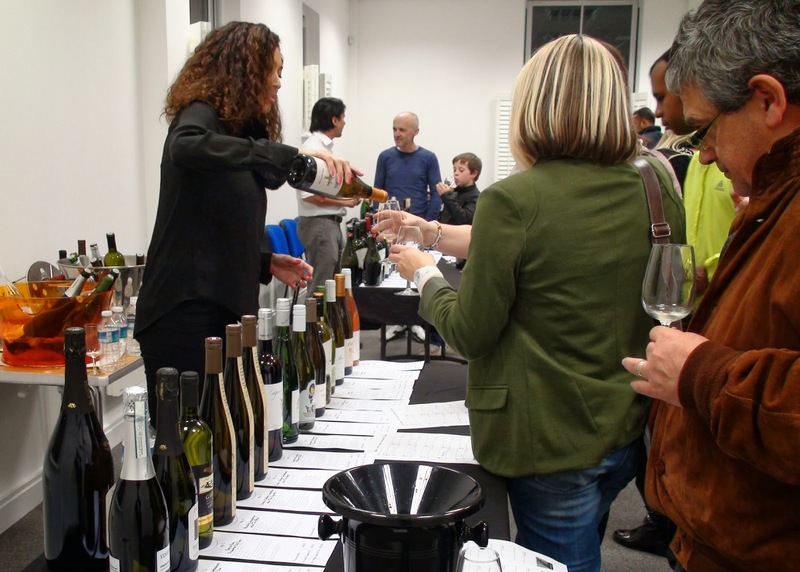 Then came Sunday and Vin Bin's wine tasting. I took my father in law who was staying for a few days and off we went for what was supposed to be a quick sample of a range of splashes before getting back for dinner. However after far too much yaking with several people I knew and a few I had just met, I didn't get round to actually tasting anywhere near a respectable number before unfortunately having to leave. I am confident that everyone there enjoyed themselves (I know we both did) and Miz and Aret told me they are looking to coming back for another one around Easter time and then hopefully one in the summer. I am sure we will all be looking forward to that!